The Sanatan Sanstha had said it had nothing to do with the murder of Gauri Lankesh and said that ideological differences cannot be considered a parameter for accusing them of the murder. 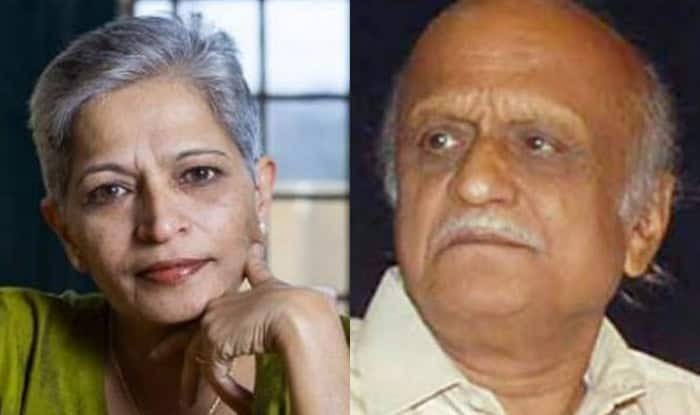 Bengaluru, Oct 6: Five persons, who allegedly have links with the right-wing outfit Sanatan Sanstha, are reportedly among the key suspects in the murder of journalist and activist Gauri Lankesh. Of these, four had been also named as accused in 2009 Madgaon bomb blast case with Interpol red-corner notices against their names. The names of three accused also emerged in probe of the murder of rationalist Govind Pansare, Narendra Dabholkar and Kannada scholar M M Kalburgi. According to a report by Indian Express, the names of Praveen Limkar from Kolhapur, Jayaprakash alias Anna from Mangalore, Sarang Akolkar from Pune, Rudra Patil from Sangli and Vinay Pawar from Satara are being investigated by a Special Investigation Team of the Karnataka police as part of its probe into the murder of Gauri Lankesh. Rudra Patil, Sarang Akolkar and Vinay Pawar allegedly had a role in killings of Pansare, Dhabolkar and Kalburgi. The names Praveen Limkar, Sarang Akolkar, Anna and Rudra Patil are on the list of most-wanted suspects of the National Investigation Agency and a red-corner notice has been issued against their names by the Interpol. They are suspected to have played a major role in 2009 Madgaon blast in which two Sanatan Sanstha men were killed while transporting an IED. The Sanatan Sanstha had said it had nothing to do with the murder of Gauri Lankesh and said that ideological differences cannot be considered a parameter for accusing them of the murder. “The organisations with the Naxal-links are accusing them of the unfortunate murder of Gauri Lankesh. The ideological differences between Hindu activists and leftists cannot be denied. However, to conclude that Hindu activists are guilty of the murder is unfair,” said Chetan Rajhans, national spokesman for the Sanatan Sanstha. While no arrest has been made so far in the Gauri Lankesh murder case, Karnataka Home Minister Ramalinga Reddy recently claimed that the SIT probing the incident has identified the killers. 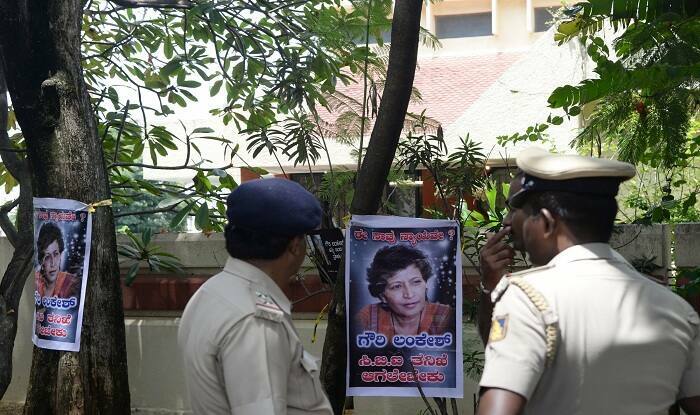 Gauri Lankesh, known to be an anti-establishment voice, was shot dead at close range by unknown assailants at her home here on the night of September 5.